What is practical about health psychology? improving health care systems and health policy. Health psychology asks: What drives health-related behaviours, and how can these behaviours be changed? It also examines how emotions and beliefs are linked with these behaviours and their consequences. Health psychologists, therefore, work across many different environments and groups of people. These include patients, carers and families, individuals in the community, health care professionals, and healthcare systems and institutions. As a result, some basic concepts from the field of health psychology are relevant for anyone working with patients or promoting behavioural changes in practice. While the burden of chronic illness is rapidly increasing worldwide, much of this is preventable. Epidemiological research has demonstrated that primary prevention (e.g., reducing risk factors for cardiovascular disease) is more effective than secondary prevention for reducing deaths from cardiovascular disease. Health psychology has a huge contribution to make in terms of reducing risk factors for illness in populations by identifying specific behaviours (e.g., smoking, poor diet, lack of physical activity, attending medical screening) and targeting them for change. Health psychology focuses on the psychological mechanisms (e.g., knowledge, attitudes, cognitions) and social influences that may be hindering change and leading to sustained unhealthy behaviour patterns. A better understanding of these processes helps identifying optimal ways to support people to break out of such unhealthy routines and, for example, stop smoking or increase fruit consumption. The development and use of eHealth applications has steadily increased in this area, and the delivery of behaviour change techniques via Apps and devices provides a very interesting opportunity for health psychology. Illness has psychological effects that can impact recovery. Individuals may experience stress, anxiety or depression, or struggle with what the illness may mean for their identity. Health psychologists try to better understand how to best support individuals dealing with illness, while also examining the complex links between cognitions, coping, outcomes and important health behaviours (e.g., medication adherence in different populations). Health psychologists critically consider the definition and measurement of key illness behaviours, for example: How can adherence to medication be measured? What is an ‘acceptable’ level of adherence? Theories and models are used to explain and predict illness-related behaviours and outcomes, and form the basis for designing interventions to make positive changes in behaviours. Health psychologists also try to find out how and for whom these interventions are most effective. We want to find out how for example a change in goal-setting or social skills may lead to better outcomes, e.g., improved self-management or generating social support; such a finding implies a mediation effect. These findings are important because it will enable us to improve our interventions since it opens the black box of the intervention and shows which ingredients effectively work and have an effect on the outcome when we are able to change them. In addition, it is also very important to know what works best for whom. Suppose a Cognitive Behavioural or Mindfulness intervention helps cancer patients to cope with the implications of the disease, we will see that some individuals do not respond to the treatment they were given. Research techniques enable us to find out whether patients with certain characteristics (like gender, age, or a personality characteristic) respond better or worse to one of these treatments. This is very helpful in determining which treatment works best for whom – a personalized treatment. The ways in which doctors, nurses and other healthcare professionals interact with a patient can have a significant impact on the patient’s response to illness and treatment. As well as working with patients, carers and families, health psychologists may work with health care professionals. Health psychology has an important role to play in the education of healthcare professionals by promoting patient-centered care that facilitates increased self-management, allowing individuals to have control over their health and helping them make better choices. This includes examining the communication style of healthcare professionals and finding ways to better match the style with patients’ needs in order to improve healthcare outcomes. So, for example in various countries Health Psychology Departments at Academic Hospitals train medical students in the above. 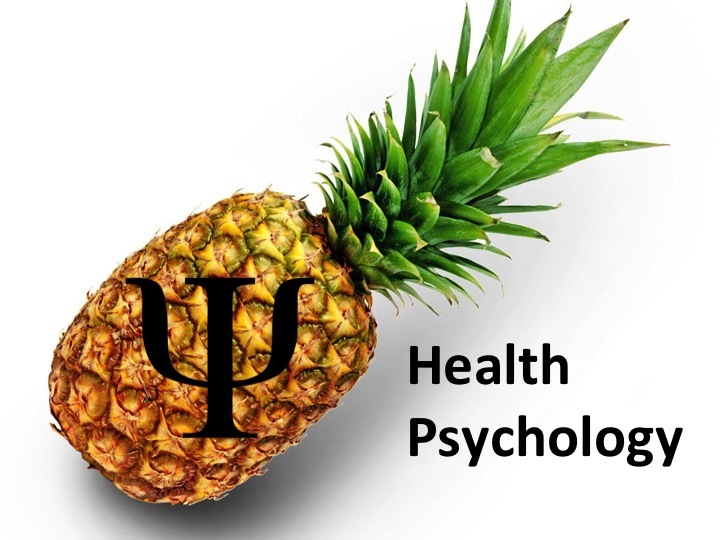 If you are dealing in your work with issues described above and you like to be informed about the latest developments in this area, we suggest to keep an eye on our Health Psychology Practical Blog. In addition, if you need practical help, do not hesitate to get in contact with a Health Psychology Department in your own country and to see whether they can help. Could be anything from answering a quick question to collaboration in for example a health promotion project.